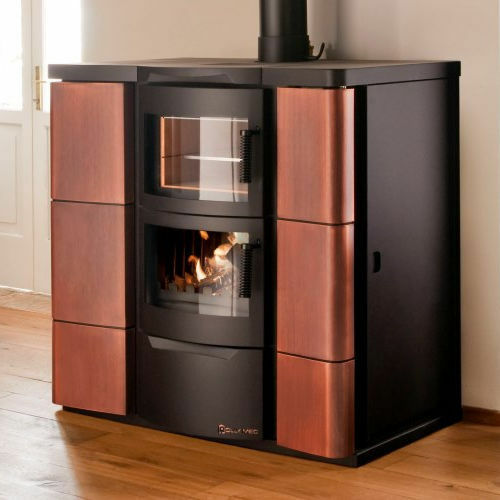 The CALDEA IDRO combined wood and pellet stoves are designed to provide autonomous or parallel heating throughout the home using a water based system (radiators, floor heating, etc). The large surface of exchange given by the onduling system ensures high efficiencies given to water, constant heating throughout the home and domestic hot water production. CALDEA IDRO is ideal to bake (in the terracotta oven), to grill or to cook on the plate. 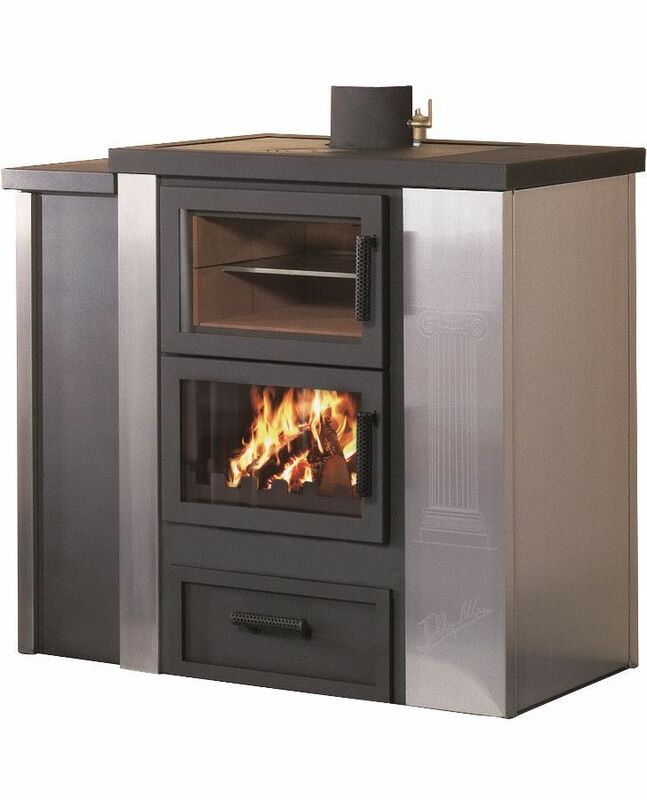 CALDEA IDRO is supplied complete with a hydraulic kit already mounted and tested, ready to be connected to the heating system. 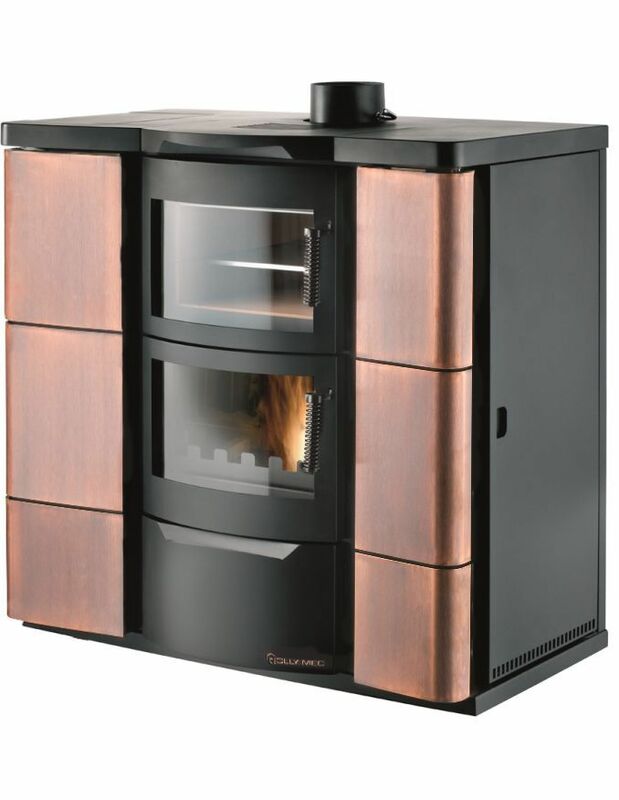 It is available in two versions: BASE or LUSSO, in stainless steel or bronze copper cladding. 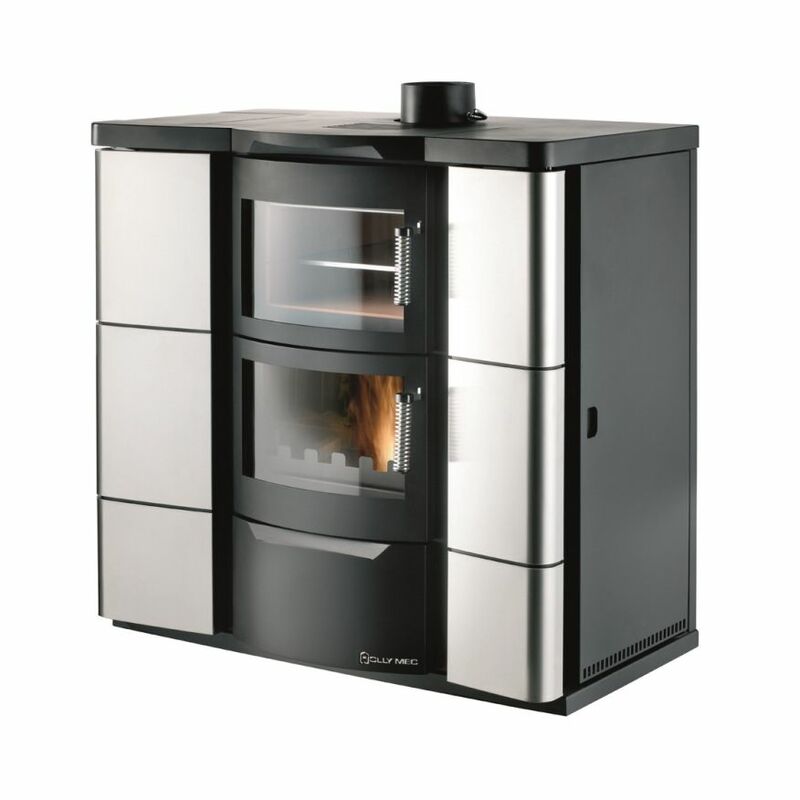 It is possible to switch automatically from wood to pellet and keep on heating according to the given settings even when away from home. Perfect combustion and total safety against the effects of reverse combustion.